Wow! Good thing I didn’t have to work the day after I brought this book home, because I couldn’t put it down. I loved some of Kamila Shamsie’s characters, and hated others, but either way, I had to find out what happened to them. Told in five voices, each distinct and engaging, this novel will grip you from the first page. It is timely, in that it tells the stories of families caught in cultural clashes. Are they British first, or Muslim first, and how do they navigate, or not, in either community? It is also timeless, in that it tells the stories of the struggles of families to love and trust and accept each other, or not. 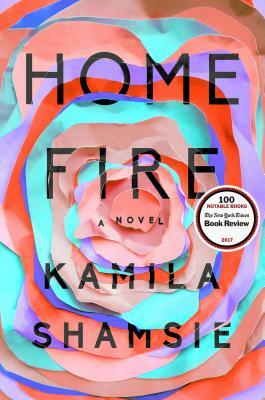 Home Fire is a book that will burn itself into your mind and heart.